Were we able to travel back in time and ask him, I wonder if Paolo Uccello would be pleased that he is remembered more for his contributions to art with regards to perspective or would be disappointed that his paintings seem to take a back seat to that contribution. He was born Paolo di Dono in Pratovecchio in 1397. His father was a barber-surgeon and his mother was a “high-born” Florentine. When he was apprenticed at the age of ten, his parents chose the premier center for Florentine art at the time – the studio of the sculptor Lorenzo Ghiberti. Sometime during his apprenticeship, Paolo met Donatello, who would become a life-long friend. When he was only 17, Paolo joined the painter's guild Compagnia di San Luca. A year later, he joined the Florence painter's guild Arte dei Medici e degli Speiali. Paolo, trained in the Gothic style of painting, began his painting career adhering to that style. 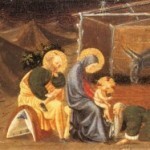 His first known painting was of Saint Anthony which was commissioned by the hospital of Lelmo. Among his earliest works were three frescos for the Santa Trinita church in Florence. Historical records are limited but we know that Paolo loved to paint animals, particularly birds. Publicly, he painted what was in demand, paintings of Biblical figures and events. Privately, he was amassing a large collection of paintings of birds. It was these bird paintings which led to the artist becoming known as Paolo Uccello which translated from Italian means 'Paul of the birds'. 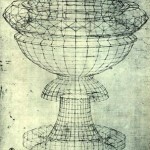 Several historians, including Giorgio Vasari, have linked Uccello to other artists of his time. Pisanello (c. 1395-1455) is believed, by some, to have been influenced by Uccello – particularly when it came to painting animals, primarily horses. 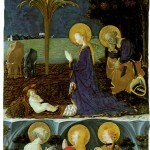 Some claim that Pisanello could have been Uccello's first painting tutor. Others believe the connection was only anecdotal and not based on fact. 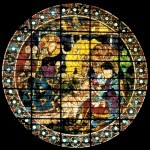 Vasari also suggests that Uccello was influenced by the work of Antonio Viniziano (active between 1369 and 1419(. The painter Dello (ca. 1403 – ca. 1470) was portrayed in chiaroscuro by Paolo Uccello in S. Maria Novella, in the story wherein Noah is made drunk by his son Ham. Uccello was painting professionally by 1424. Animals were more and more frequently appearing in his work. He didn't follow convention and began painting his trees with natural colors and began building a reputation as a landscape painter. After painting several pieces relating to the story of Noah's Ark, he gained great fame in Florence. Then his career would take a major turn. He learned geometry from Antonio Manetti. In 1425, while in Venice, Uccello worked on the mosaics for the facade of San Marco (works that have sadly been lost) and some believe he visited with Donatello while there. Before returning to Florence in 1431, he also painted frescos in Prato and Bologna. He continued accepting commissions but his passion for animal painting began to be supplemented by things he learned from Manetti. 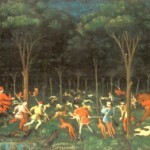 Uccello began painting in the Early Renaissance style with a heavy focus on incorporating perspective into his work. He married Tommasa Malifici in 1453 after she gave birth to Donato (named for his friend Donatello) and they had a second child Antonia in 1456. Antonia (1456-1491) was a Carmelite nun who was identified on her death certificate as a “pittoressa” or paintress. Unfortunately, there are no known paintings by Antonia Uccello in existence. His almost obsessive pursuit of perspective led some art scholars to believe that his later works were so focused on perspective as to be less artistic and praiseworthy than his earlier works. When he died in 1475, he was poor and somewhat forgotten. His efforts led to discovering the method of turning the arches and cross-vaulting of ceilings; how floors are to be foreshortened by the convergence of the beams; and showed how the artist must proceed to represent columns bending around shard corners of a building which all worked together to make things seem level.